I never thought I’d miss a good set of translated Chinese directions, but never is a long time. The new Terminator RDA Tank from Smok Tech requires a little bit of experimentation to get working correctly, something that could easily be resolved with a simple manual. Once setup it works well, but has some serious flaws. The Terminator is essentially a rebuildable dripping atomizer (RDA) surrounded by a small tank. It looks a lot like a cartomizer tank with bulge in the middle of the cartomizer. That bulge actually surrounds an atomizer and ceramic bowl and comes apart for access and rebuilding. Unscrewing the two parts of the housing also serve to vary the e-liquid feed to the coil. Why an atomizer instead of a cartomizer? The most important reason is flavor. 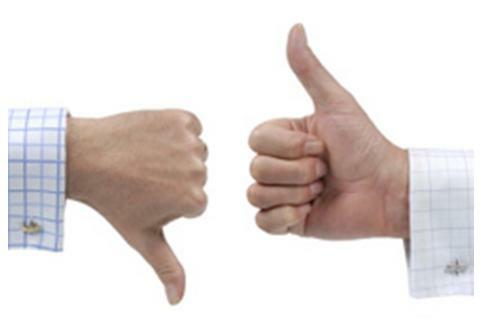 Many vapers find an atomizer produces much better flavor than the sometimes muted taste of a cartomizer. The second reason is that an atomizer can be used by dripping a few drops of liquid directly on the coil, ensuring the best hit every time. The Terminator RDA Tank succeeds nicely in both of these areas, allowing direct dripping and producing excellent flavor and clouds of vapor. It’s a very good rebuildable atomizer for the price. The tank should make it even more attractive, but here is where the Terminator is a big disappointment. The tank is a simple poly tube with metal caps on each end. 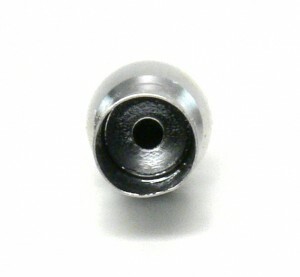 O-rings seal the connection between the caps and the tank and between the cartomizer and caps. The design is much like cartomizer tanks we’ve used in the past with good results, but caps on this one seem exceptionally loose. Everything slides around way to much to inspire much confidence in the liquid staying where it’s supposed to be. The bulb in the middle prevents the atomizer tube from being pulled down enough, so the top cap needs to be removed to do so. Removing it without making a mess is somewhat difficult. Pulling on the top cap can easily pull the tube off of the bottom cap, which catches on the bulb. 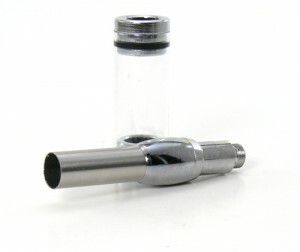 Placing the cap back onto the filled tank is also problematic, as the bottom cap can easily be pushed right off the end of the atomizer tube. 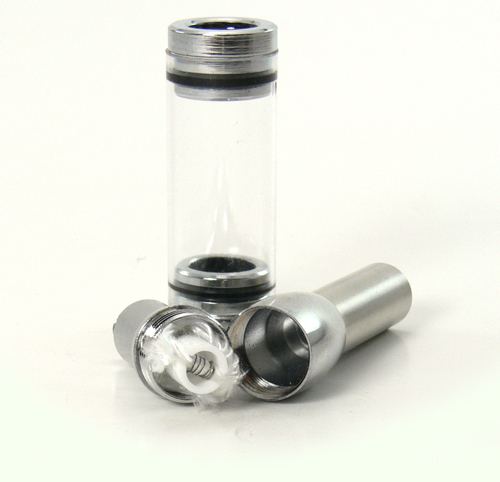 Pushing the cap on over the atomizer also creates a lot of pressure in the tank, thus flooding the atomizer. Some users report that pushing the cap on just enough to make contact and then inverting the tank while pressing it on further helps. Loose caps also mean that once everything is put back together, there is quite a bit of wiggle when attached to a device. Part of that may also be due to the fact that it must be screwed on using the top of the atomizer tube that sticks out because the tank will simply spin on the atomizer if try to tighten it with that. The problem is that turning the top of the atomizer also results in closing the threaded gap in the middle of the tube which controls juice flow to the coil. That threading in the middle, which must be loose to allow juice flow, also allows for some flexibility that would not be apparent in a single piece cartomizer. The flow control is a good idea, but poorly executed in this tank. The two pieces of the atomizer come securely screwed together and there is no indication of how the flow control is supposed to be used. Unscrewing the two halves of the atomizer expose slots in either side that become larger as it is unscrewed, thus allowing liquid to enter the coil area easier. It works quite well except for the fact that attaching and detaching the Terminator from a battery invariably changes the flow. The lack of any instructions regarding it is simply inexcusable and would certainly result in a very poor experience for a relatively new vaper. Getting Terminator RDA Tank all set up can be a frustrating exercise and once in use it feels fragile. I would not even consider putting this is pocket for fear of things coming apart. The tank feed to the atomizer is useful when it’s working properly, but the difficulty of filling probably make it more trouble than it’s worth. On the other hand, the Terminator does deliver a great vape from a small and reasonably priced atomizer. I may end up getting quite a lot of use out of this without the tank. At $11.99 from Madvapes, it’s actually not too bad of a deal even if that’s all it gets used for. Second versions often resolve glaring issues, so here’s hoping. To clear up any confusion, the split that is in the middle of the bulb part is not where the flow control is. It is directly underneath the bulb, where the cylinder meets the bulb. The split in the bulb needs to be tightened down very snug, as that is what holds the negative leg of the coil. The juice flow on mine was tightened so much that I needed a pair of needlenose pliers to grip and open it, and I only discovered this after a lot of research and video reviews.